Oral B Pro-Health Gel Toothpaste – 90g – Market Republic – the largest online superstore in Nigeria. Shop online at your favourite low-price destinations – Shoprite, Game, Spar, Everyday supermarkets, Market Square and other offline stores. We offer low prices on everything. Oral-B Strong Teeth Toothpaste is an antibacterial and fluoride toothpaste that is clinically proven to protect all the areas dentists check most. 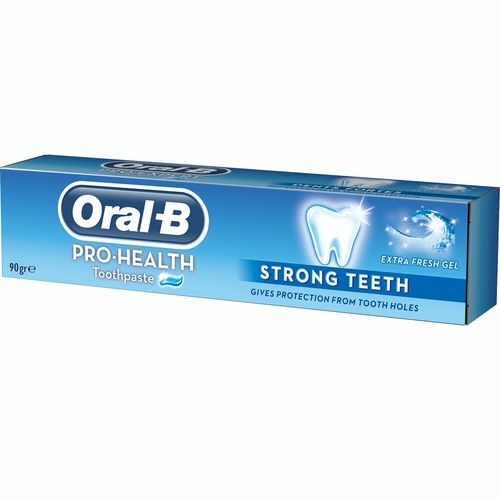 Providing a unique cleaning sensation, Oral-B All-Round Protection Toothpaste contains a polyfluorite system that consists of an antibacterial fluoride and Active Clean Crystals. It helps prevent dental caries, plaque, gum disease, tartar and enamel erosion. It builds increased protection against sensitivity and helps to whiten teeth by removing surface stains. Buy Oral-B Pro-Expert All Round Protection Toothpaste online from Jumia at the best price in Nigeria.